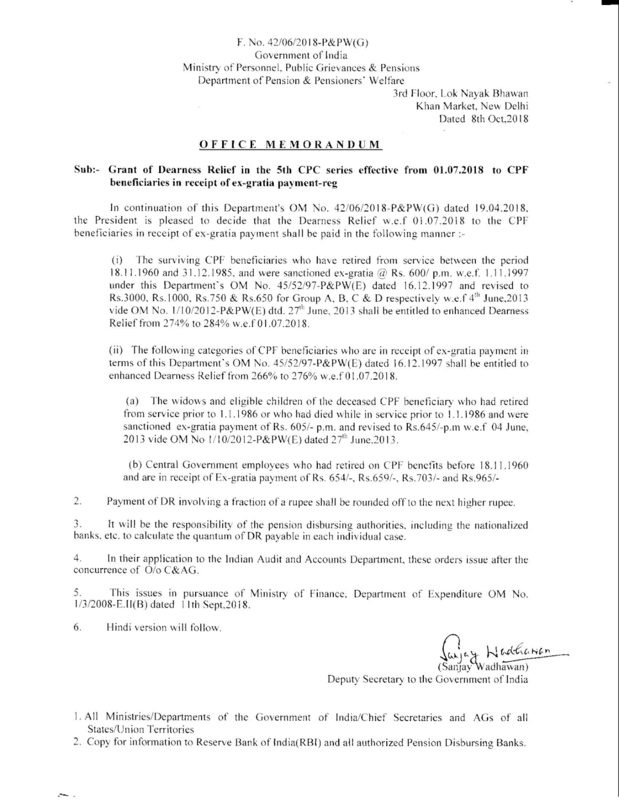 (ii) The following categories of CPF beneficiaries who are in receipt of ex-gratia payment in terms of this Department's OM No. 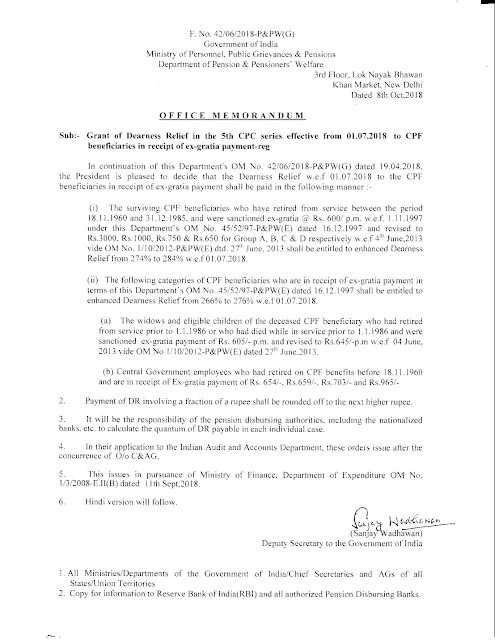 45/52/97-P&PW(E) dated 16.12.1997 shall be entitled to enhanced Dearness Relief from 266% to 276% w.e.fo l 07.2018. 4. In their application to the Indian Audit and Accounts Department, these orders issue after th concurrence of O/o C&AG.